I have been eating out for the most part of the last two months as I was travelling quite a bit and also catching up with work. It really made me miss home-cooked food greatly. 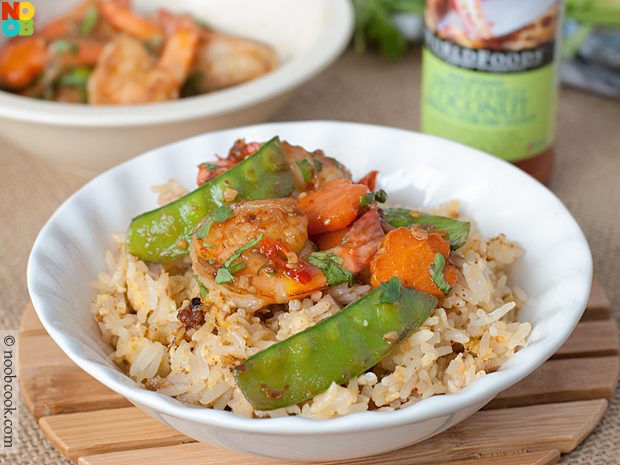 During busy times like these, I’m glad I have fail-safe, easy and fast recipes like this stir-fry sweet chilli prawns to fall back on. The sauce is almost instant as I used sweet chilli sauce as the base. Being sweet, it can cater to everyone. I added chilli padi to the stir-fry and it instantly transforms to a hot and sauce. 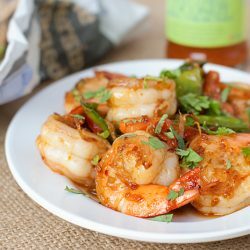 In this recipe, I used WorldFoods Malaysian Sweet Chilli Sauce which is sent to me by the the good folks at WorldFoods. Besides using in stir-fries, sweet chilli sauce can also be used as a dipping sauce so it is a really useful sauce to have in the kitchen pantry. If you wish to learn more about WorldFoods, do check out their website and facebook page for more information. 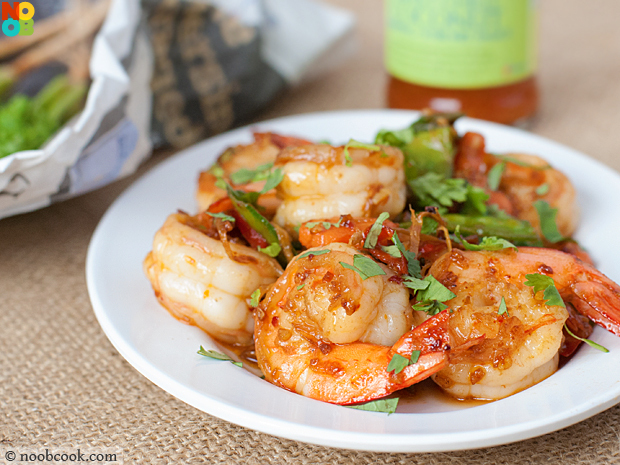 This sweet and mildly hot stir-fry prawns takes under 20 minutes to make: fast and delicious! Heat oil in wok. Stir fry garlic, ginger and chilli until fragrant, about 30 seconds. Add snow peas and carrots, stir-fry for about a minute. Add prawns and (A). 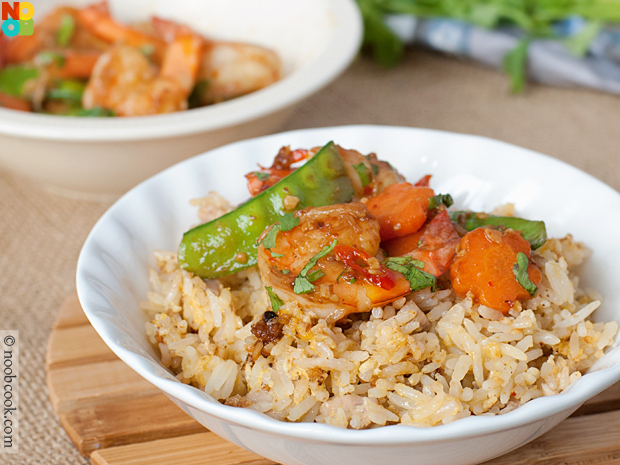 Stir fry until the ingredients are well coated in the sauce and the prawns are cooked. Garnish with finely chopped coriander.